Our 3rd year covering one of the happiest conferences ever! 5 Years ago, the FABULOUS Becca Bronkema from Becca B Photography brought me on to shoot conference photos for the Sunrise Senior Living Leadership Conference. At the time, SkipperFilms was a one-man-band, I took photos, video, built websites…. really just did everything we could to to pay the bills! 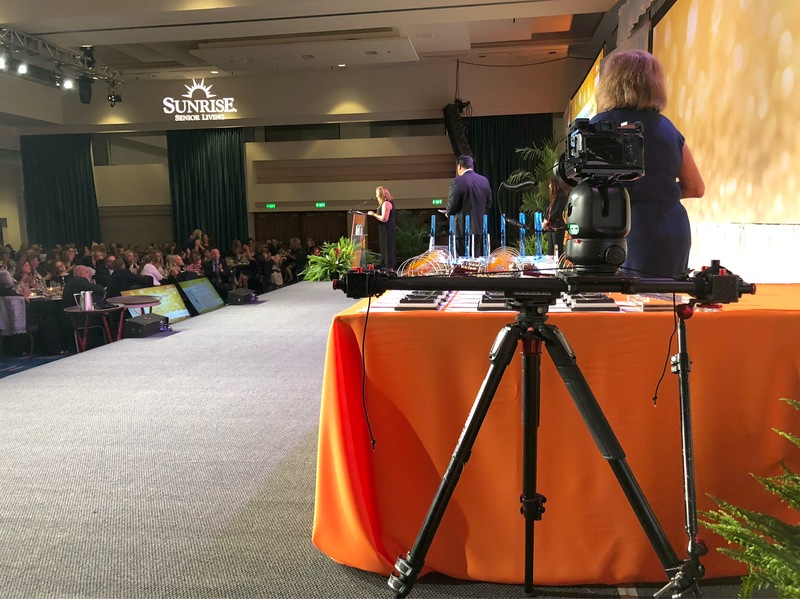 As the years went on, Becca and I had become a staple in Sunrise Leadership week, while I personally did less and less photography in my business. But 3 years ago, as the SkipperFilms Team grew, I wanted to propose an aggressive idea that would keep the team dynamic, while giving them something they didn’t have (and I knew they would absolutely love!). I proposed that I would fly Brian (2nd in command, Creativity Czar, all around good guy, puts sugar on his mac and cheese for some reason) down to Dallas for Leadership week, I’d put him up in the hotel, and we would do a full conference highlight video at no cost, with the understanding of what it would normally cost if they were to hire us in the following years. 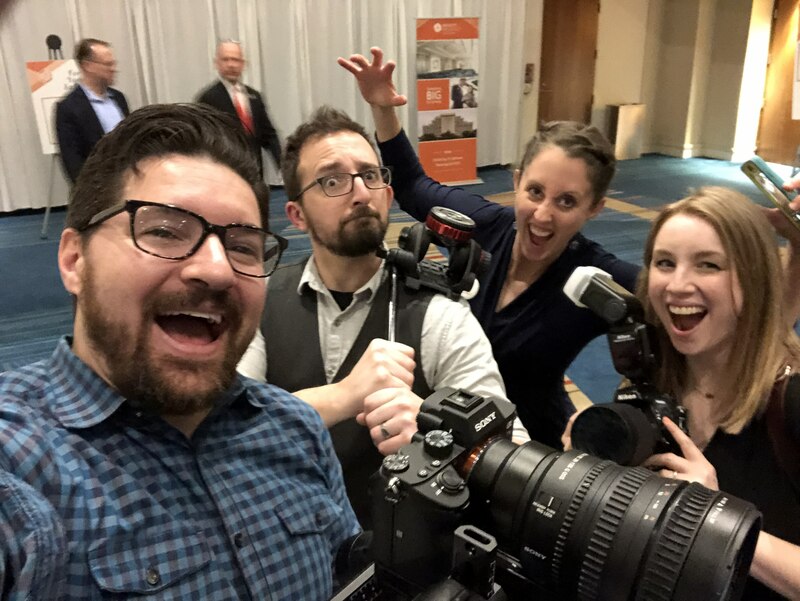 Well, the plan worked, the video was a hit, they couldn’t live without our Conference Video Production package, and Brian fit right into the media team like he had been there all along! Fast forward to the 2019 Leadership Week. We do a lot of Conference Highlight videos. Like, a lot. 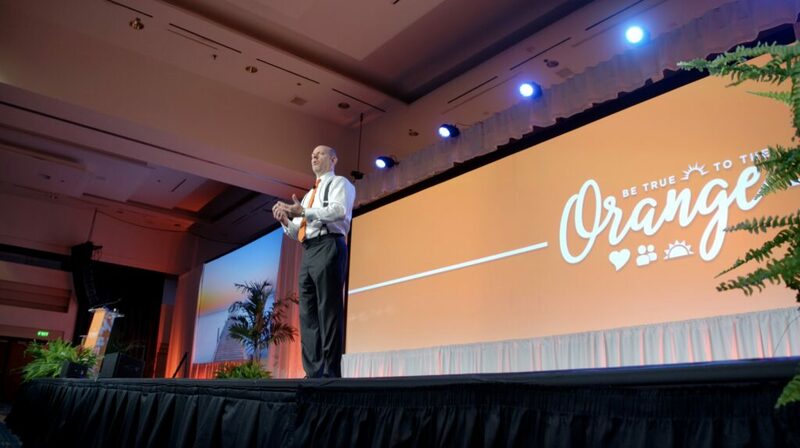 I know it says we’re a Video Production Company based in the Washington DC area (Leesburg, Virginia to be the exact location of HQ), but during conference season, we might as well get time shares in Orlando and Vegas, as we spend so much time in both locations to cover conferences and create stellar recap videos! I say all of that to put into perspective our experience, and our opinion of how conferences generally go. WE. LOVE. SUNRISE. This is such a fun conference, one of our favorites, and probably the most rewarding to us as a vendor! It’s full of people so passionate about the work they do for seniors in their facilities, smiling faces, and this year they even brought some of their lively residents to join in on the fun (and even perform a few songs between sessions!). What this amounted to, was my favorite conference highlight video we’ve ever created! Brian and I loved every second of shooting it, every second of editing it, and every second of watching it over and over again to marvel at what we’ve captured. If you’re working with a conference that might be in need of a promotional video, conference highlight video, or any other kind of media that we can capture during your conference, please head over to our conference video page and hit the contact form! Looking forward to hearing from you! Previous post SkipperFilms at Tribeca Film Festival!